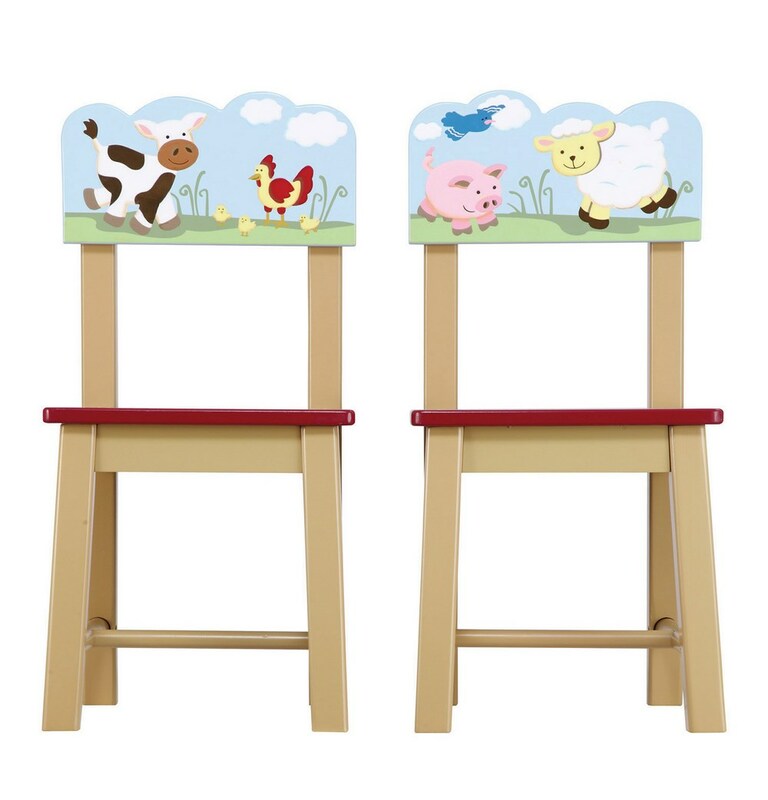 GuideCraft's Farm Friends themed wooden kids table chair set features colorful and playful decoration of all of the kids favorite farm animals! 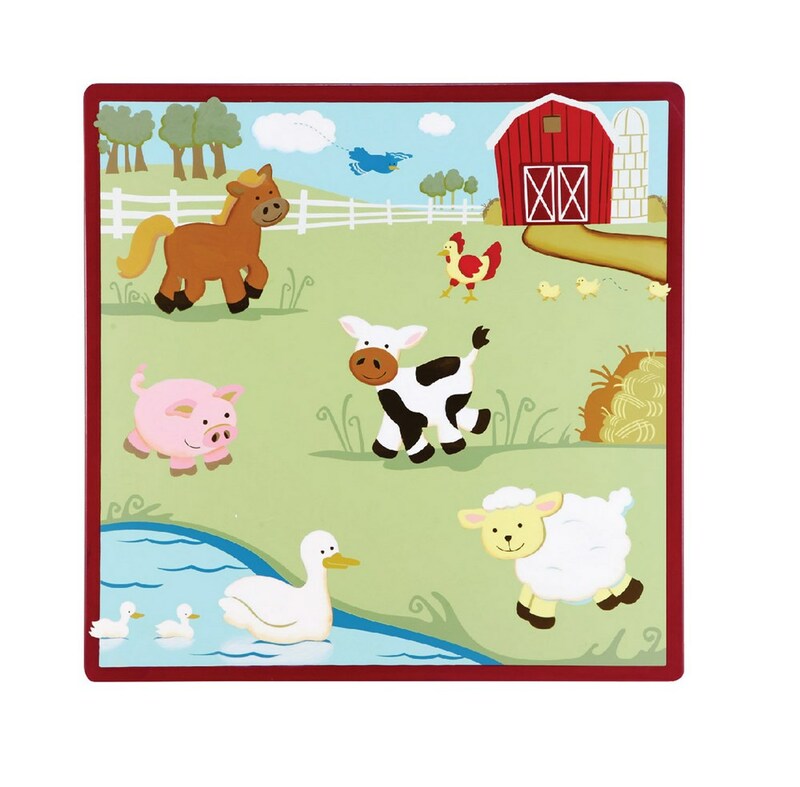 horse, cow, pig, ducks, and more! It comes with 1 table and 2 kids chairs. 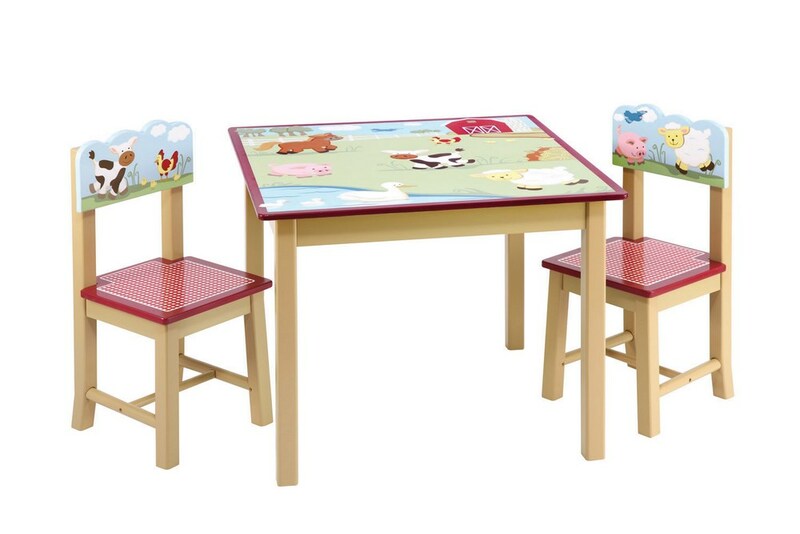 Classic table and two chairs set features durable construction and child-safe design. Double-bolt construction on table legs. Angled legs on chairs prevent tipping. 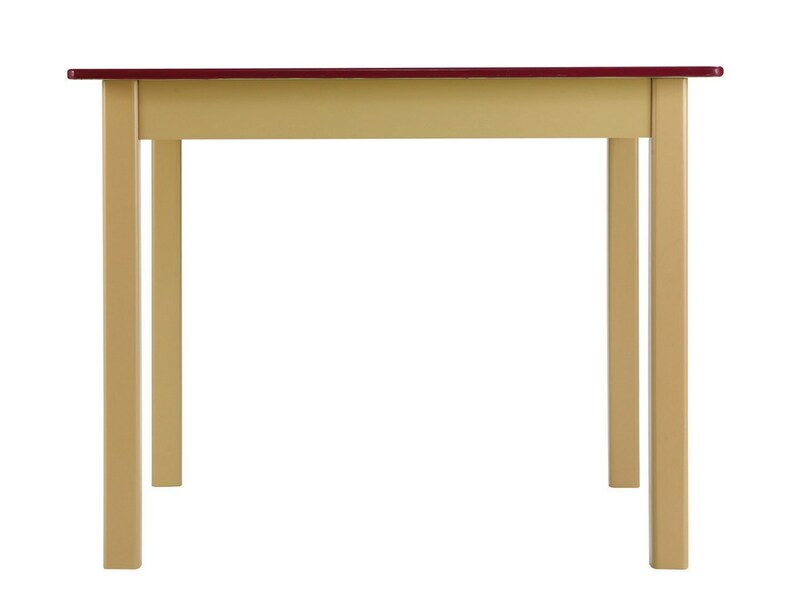 Dimensions: Table is 28"W x 28"D x 21"H. Each chair is 12.5"W x 12"D x 25"H. Seat Height 12". 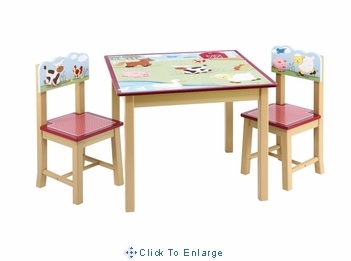 Furnish your child's room with more beautiful kids furniture of GuideCraft's Farm Friends themed Children's Room Furniture Collection.